While designing L&D for lifelong learning is the need of the hour, how does one do it remains a challenge. Kimo Kippen, Former Chief Learning Officer, Hilton shares some key elements of modern learning and gives a solution to the problem. In 2017, a delicate looking woman with doe-brown eyes and long fluttery eyelashes, living in some corner of Saudi Arabia made headlines when she received citizenship of the country. The name of this woman is Sophie and what is extraordinary about her is that she is a robot- the first robot in the world to be recognized with citizenship. Clearly, technologies from AI, robotics to VR, AR and predictive analytics are all converging and digital transformation is taking place extensively. In Japan, there is a completely robotic hotel and soon, there will be cars that are driverless. Even in retail, big players like Amazon and Walmart are looking at how they can utilize technology to completely automate their stores and warehouses around the world. These shifts in business and the way we live and operate have impacted talent and the world is in a war for talent. In fact, Kimo Kippen, Former Chief Learning Officer, Hilton feels that we have lost this war. Many reports have time and again highlighted that 50 percent of the current jobs won’t exist in the future. And it’s not just automation but even the employee mobility is changing the way work is done. Hence, the war for talent is real and How do we attract, develop and retain great talent is a big deal. These changing ways of work make talent transformation a critical agenda for businesses and companies need programs that can be designed, redesigned and continually change as per the need of the future. The learning designs have to, therefore, be more agile and companies need to build a culture of growth mindset. For continued success what organizations need are employees who are curious and have a “Learn it all” attitude. While designing L&D for lifelong learning is the need of the hour, how does one do it remains a challenge. Kimo Kippen shares some key elements of modern learning and gives a solution to the problem. Chunked: It must be in small pieces, easier to grasp and retain. Autonomous: The learner must have the ability to intercept with it at his/her convenience. Hyperlinked: As learning happens in layers it must be connected, giving the learner the ability to relate. Current and Relevant: The learner's needs are swiftly changing. The content, therefore, needs to be updated and made useful for each and every learner. Accessible: It should be available whenever and wherever the learner needs it. MVAK- Mobile, Video, Auditory and Kinesthetic: Each L&D program should have these four elements to create a good experience and engage the learner. Experiential: Make the learner part of the entire learning process. Indulge them in experience for greater impact. When they are involved in the process the chances of retention increases. Social: Learning from one another often works out well. When learners learn in a group it enhances attention, memory, and motivation. 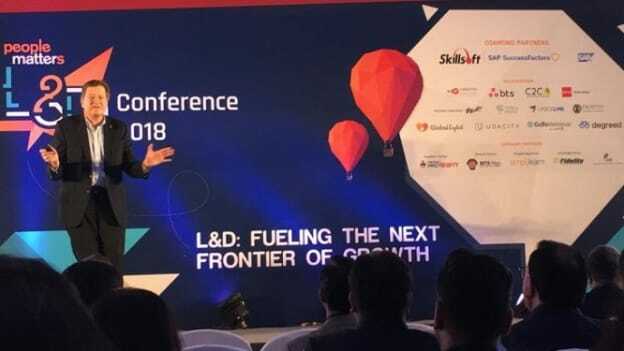 Personal and customized to the unit of one: From learning administration to learning platforms and now learning for the unit of one, L&D programs have become all about user experience. How does the learner want to learn? Why does a learner want to learn? Access the learning needs of each and every learner, also know the way they wish to learn and create a customized and personalized experience for them. Lastly, the tenth and the key element of lifelong learning is that learning should be embedded in the process of the job. When learning becomes part of the regular workflow, it becomes easier, convenient and the chances of its success increases.